There’s nothing more exciting than seeing horse races! Well…there is, but seeing some thoroughbred race is also pretty cool! 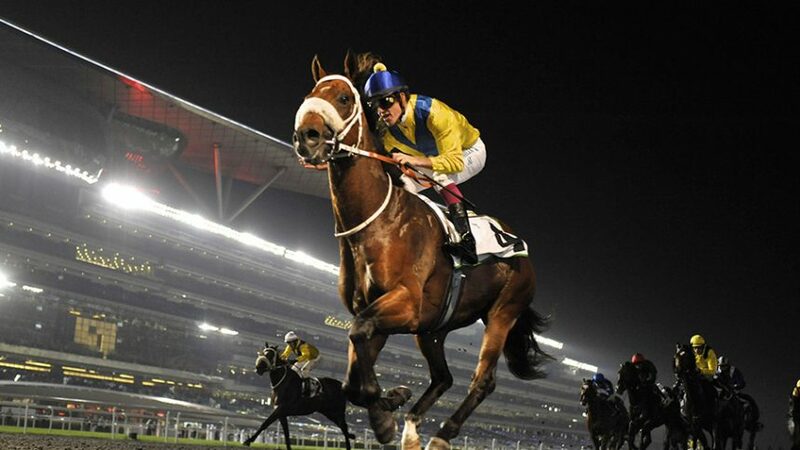 Bet on Dubai World Cup and earn loads of cash with Bovada Sports. But the best part is that no matter if you win or lose you’ll get back Weekly Rebates on horse races. Collect up to 5% rebates every Tuesday at 1 PM ET on your Racebook plays. Straight wagers that are bet on the Dubai World Cup will receive back 3% on all options: Win, Place and Show. And that’s not all! If you make an Exotic wager and the bet doesn’t work out then you’ll get back 5% on all of these wagers: Quinella, Exacta, Trifecta, Superfecta, Daily Double, Pick 3, Pick 4, Boxes and Wheels. The World Cup in Dubai is one of the most prestigious horse racing competitions in the world; it carries a massive prize purse consisting of more than $25 million. The events themselves are staged on the iconic Meydan Racecourse that boasts a mile-long grandstand. Besides placing a bet on Dubai World Cup, check out some of the other racing events that Bovada Sports offers. Bovada is US-oriented so you can expect to see all the most popular North American racing events. But don’t miss out on the British ones, as well as Australian races. You can also go to the section called Horse Racing Tracks and then click on each individual race track to see what races are on the schedule. Bovada Sports has tons of sports markets, but the horse betting market is divided into a special section; it’s independent from the other sports. That’s how serious Bovada is about horse racing! Join Bovada Sports today and bet on Dubai World Cup in style! Win cash prizes with your favourite thoroughbreds, and even if you lose you’ll still get Weekly Rebates!